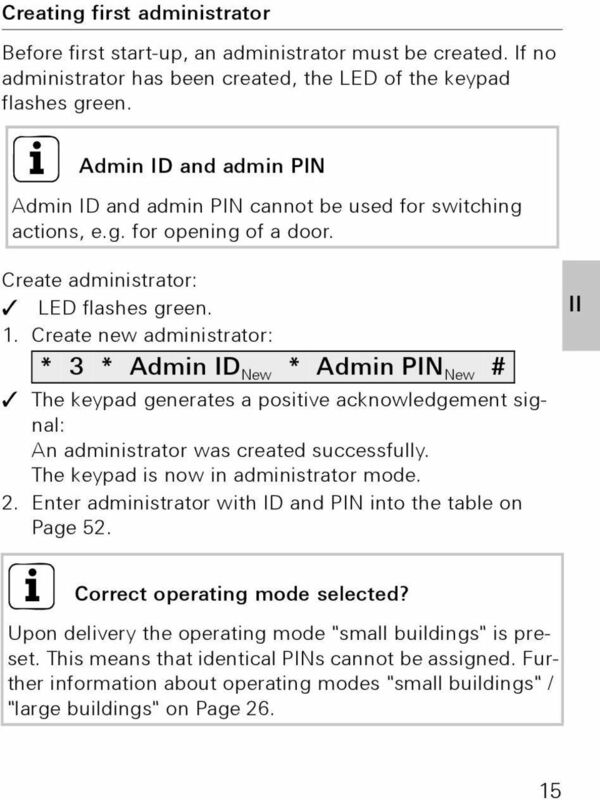 Download "Operating Instructions. 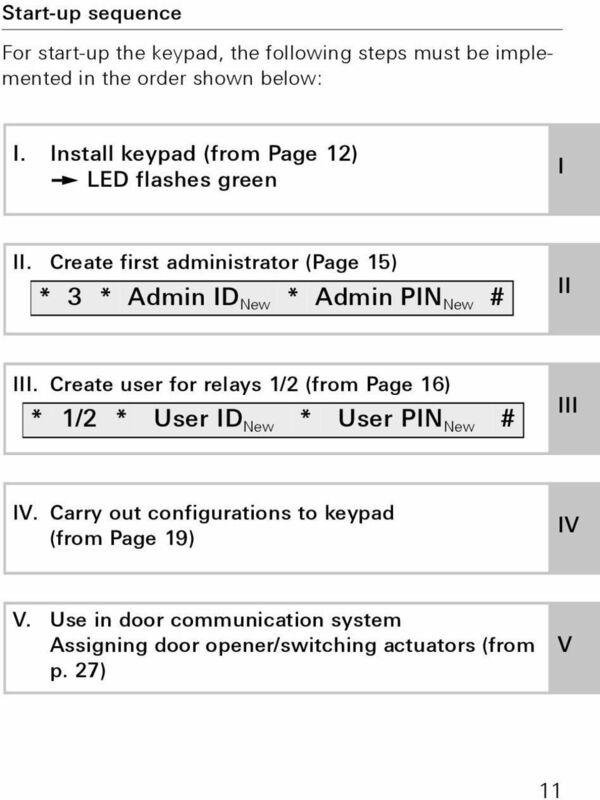 Keypad 2605.."
1 Operating Instructions Keypad 605..
36 V Specifically assigning the bell button to a switching actuator To specifically assign the bell button to a switching actuator, a user must be created in the keypad for this switching actuator. With parallel assignment of switching actuator and home station, first assign the switching actuator, then assign the home station. 1. 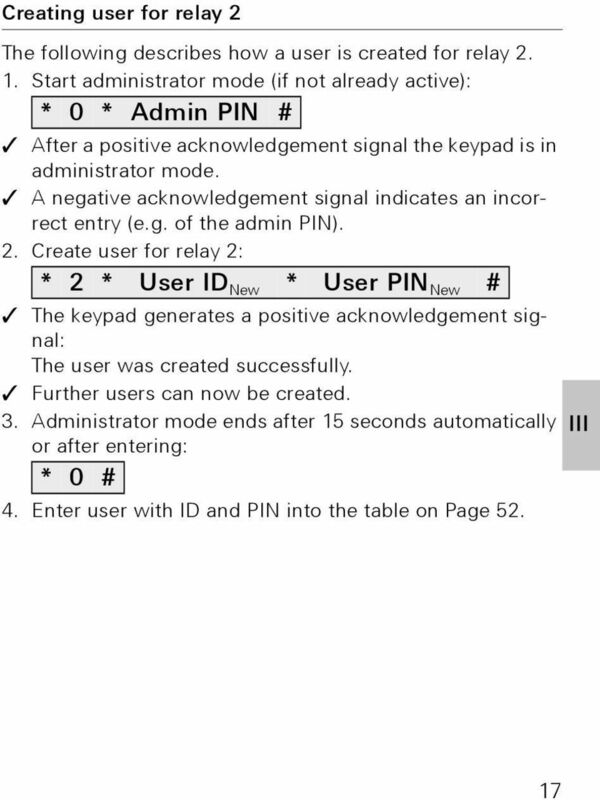 Press the "Systemprogr." 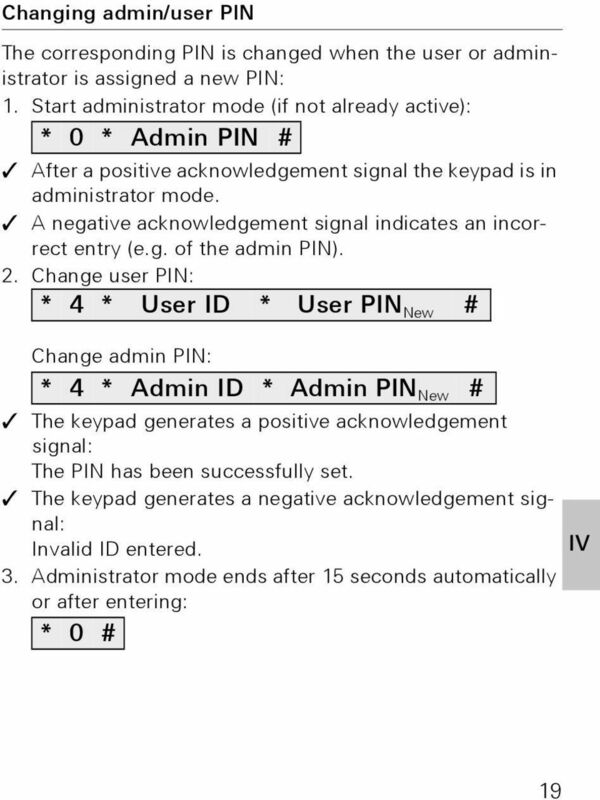 button on the control device for 3 seconds to start programming mode. 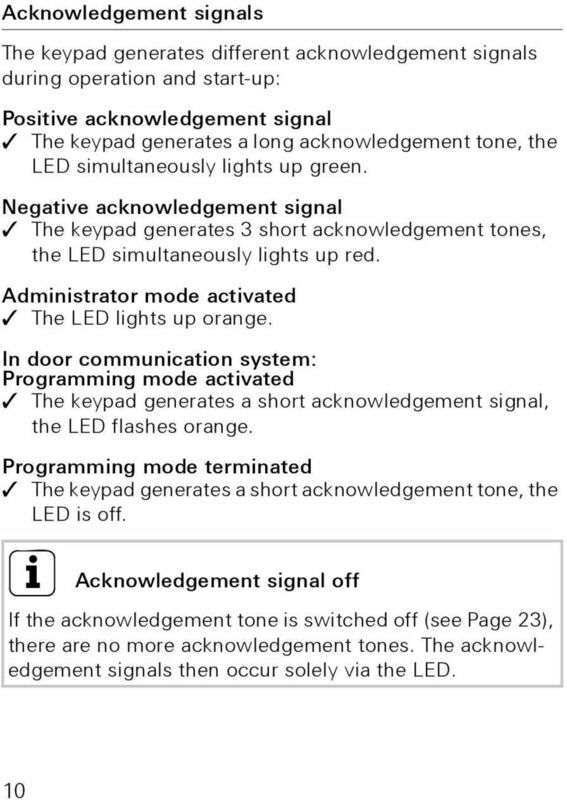 The LED at the control device flashes. 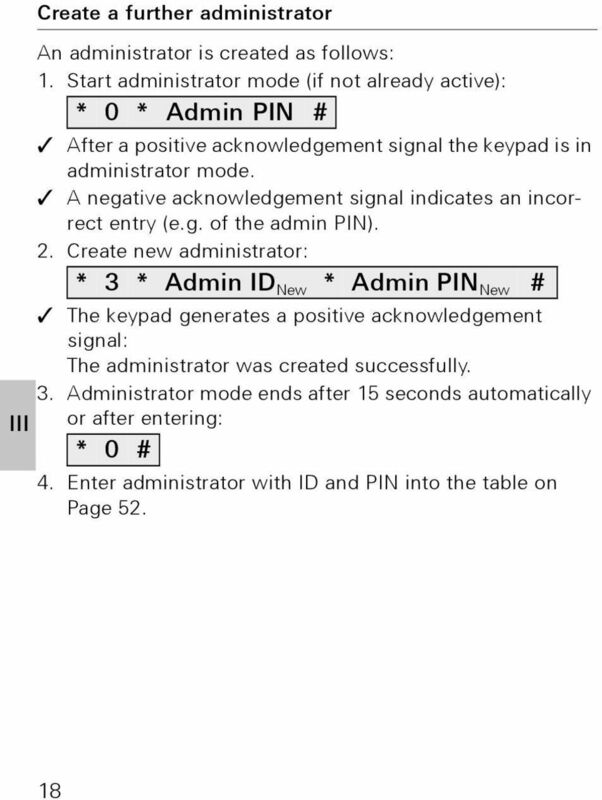 The keypad generates an acknowledgement tone and the LED flashes orange. 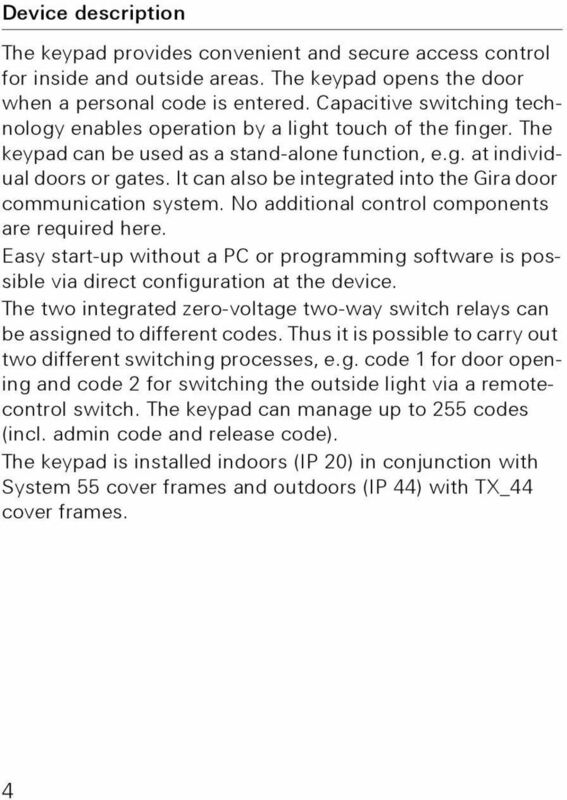 The operating mode LED of the switching actuator flashes.. Press the "Progr." button on the switching actuator until the LED next to the button flashes. 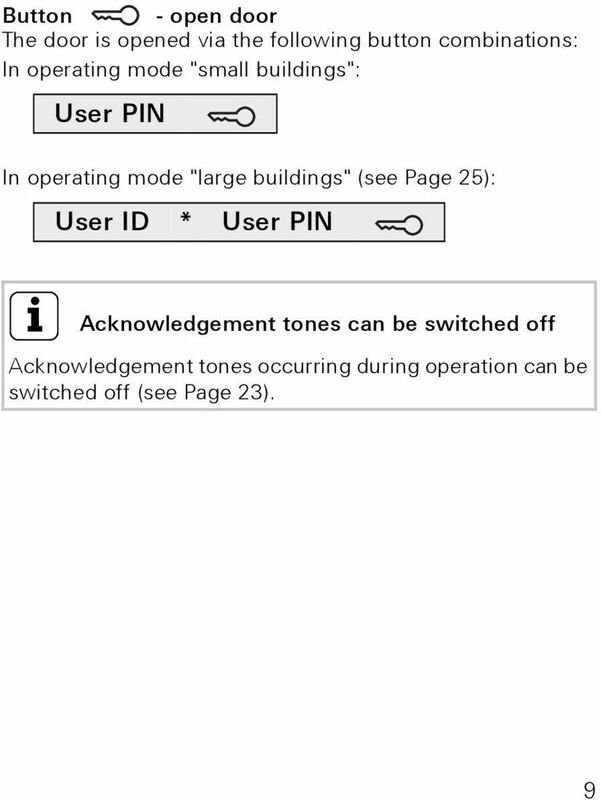 The keypad generates an acknowledgement tone again. 3. 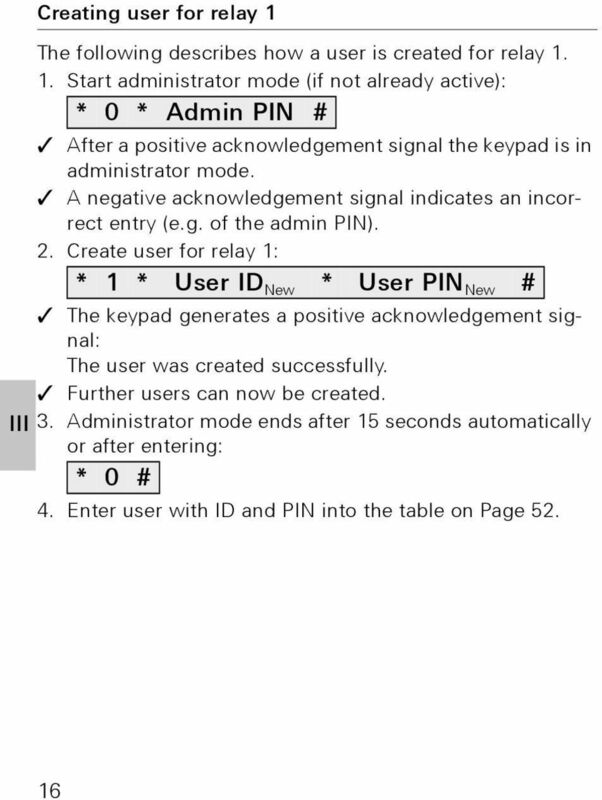 User ID + press "Bell" button. 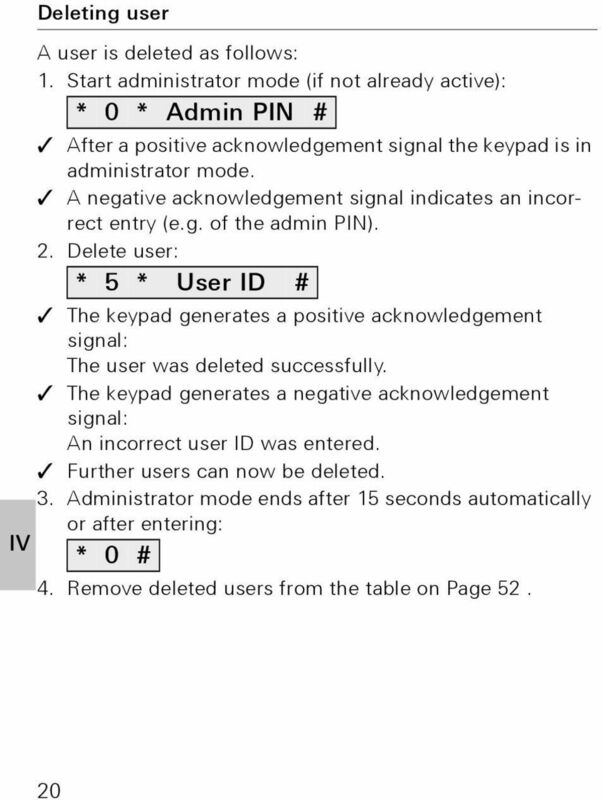 User ID The keypad generates a positive acknowledgement signal: The switching actuator was assigned successfully. 4. Press the "Systemprogr." 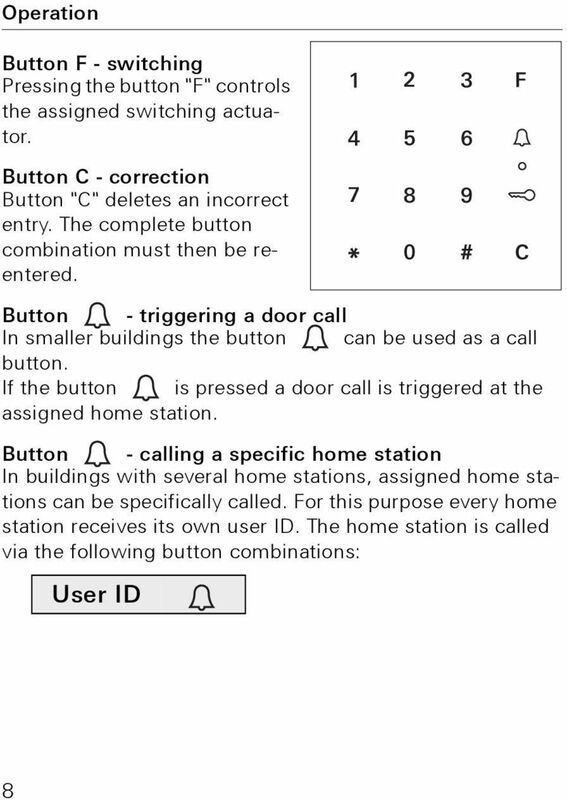 button on the control device to exit the programming mode. 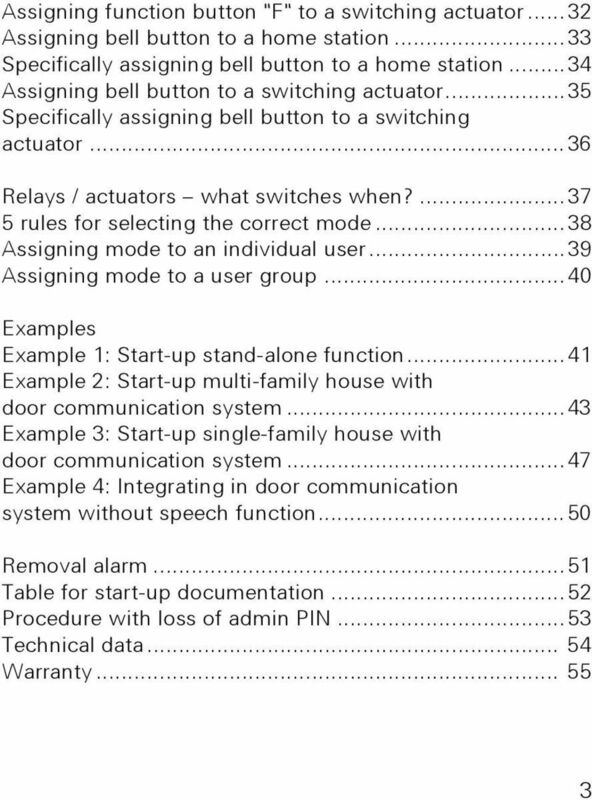 36 i Delete assignment of "Bell" button - switching actuator To delete the "Bell" button - switching actuator assignment, take note of information on Page 35. 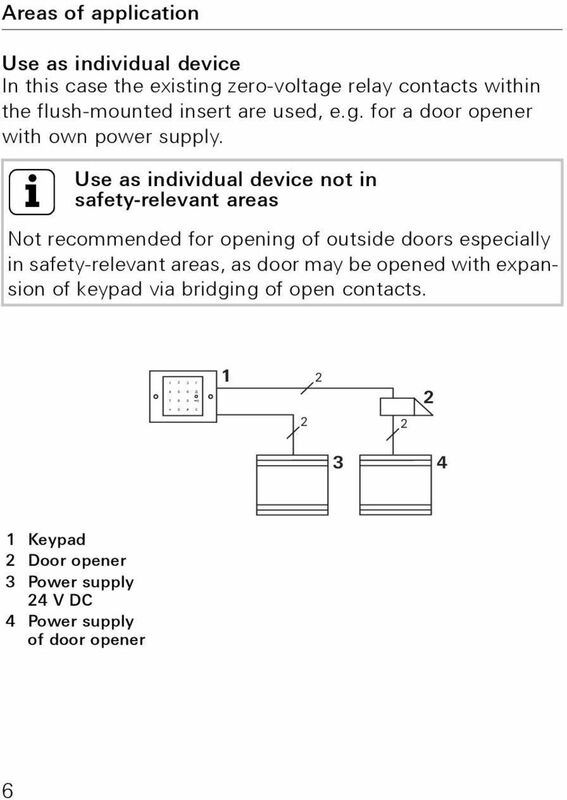 Mounting and operating instructions. 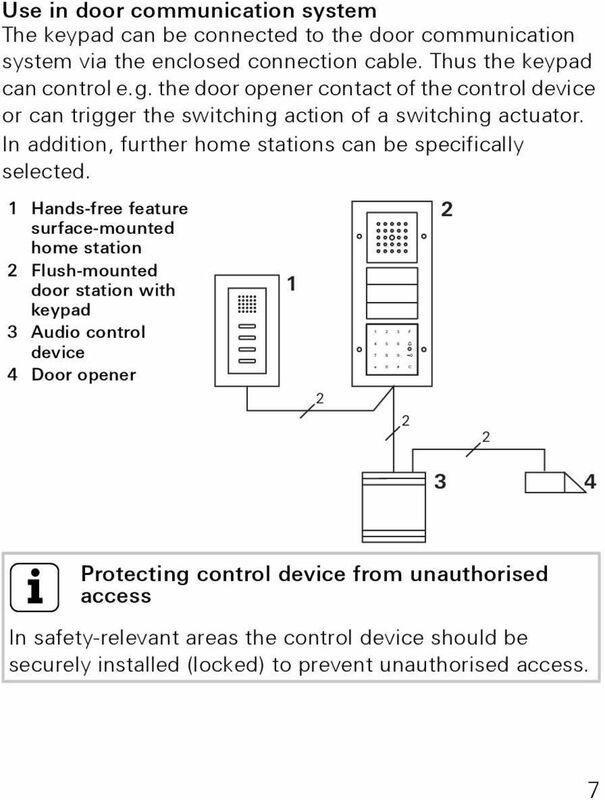 Surface-mounted hands-free feature home station 1250.. 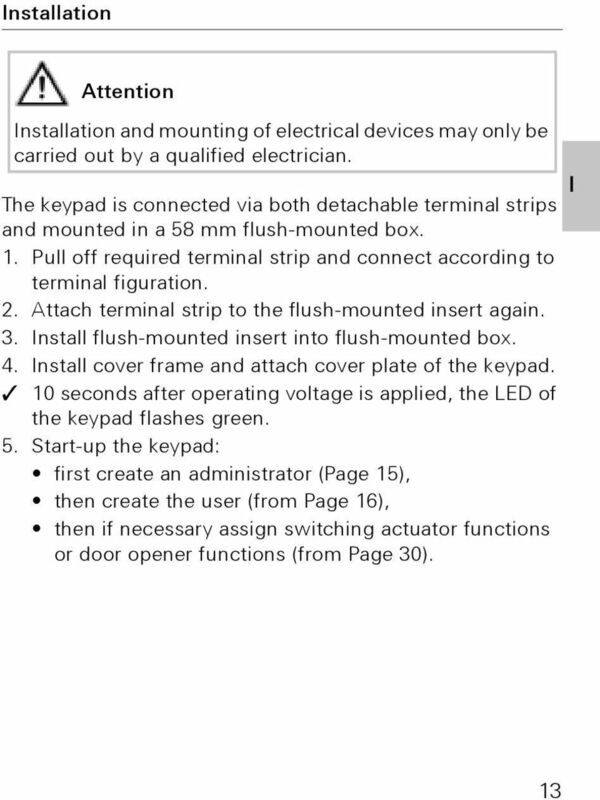 Mounting and Operating Instructions. TV gateway 2610.. Residual current socket 30mA Order No. : 0477..
Rutenbeck Network Connection Box Cat. 5, shielded. Cable installation. UAE Connection Box Cat. 5 Operating Instructions. BIBUS VOP. large blocks of flats with switchboard and mixed mainly audio systems. 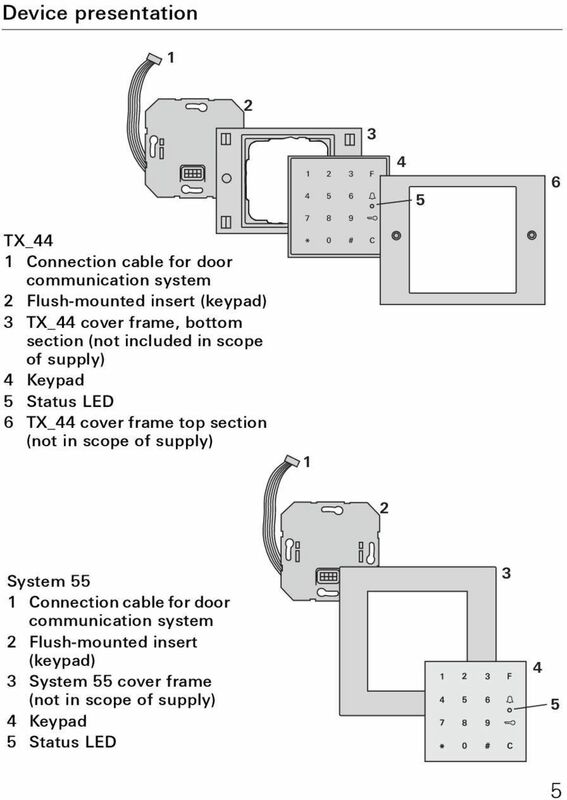 Ideal for door phone systems with up to 250 users. 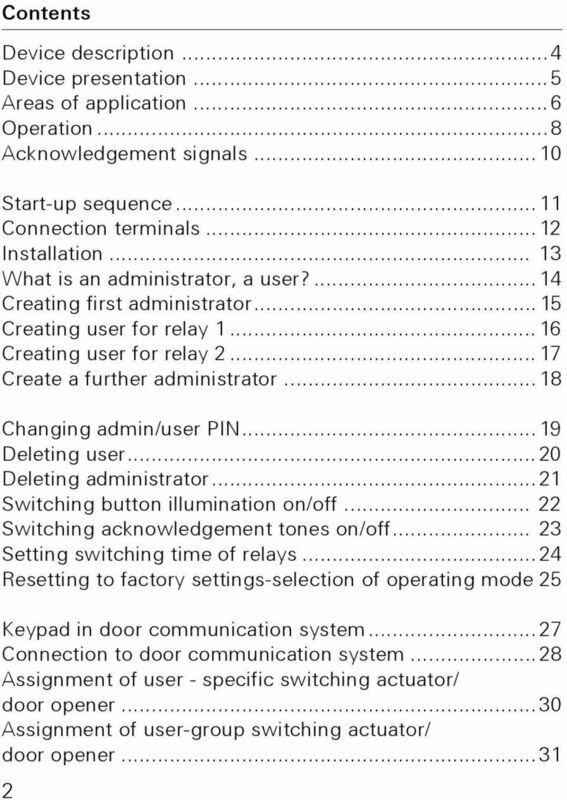 Link SIP Door Phone Manual V1.0 1 Table of Contents 1. BASIC DESCRIPTION...3 1.1. FEATURES... 3 1.2. MODULE ASSEMBLY... 3 2. MODULE FEATURES...4 2.1. 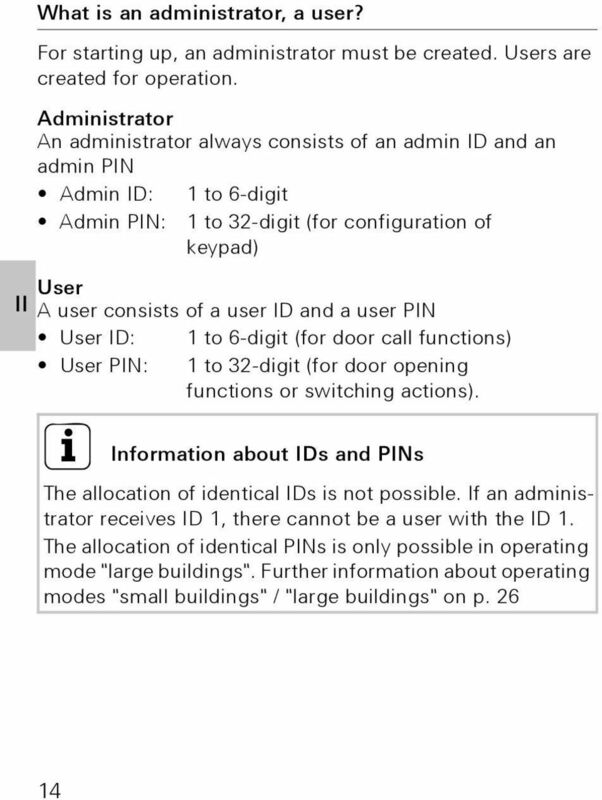 BASIC MODULE... 4 2.2. 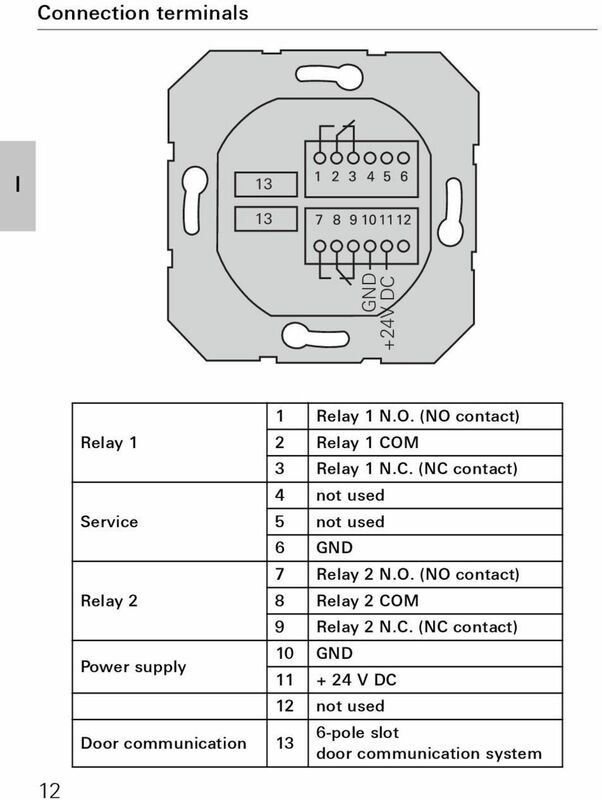 RELAYS CONNECTION... 4 2.3. 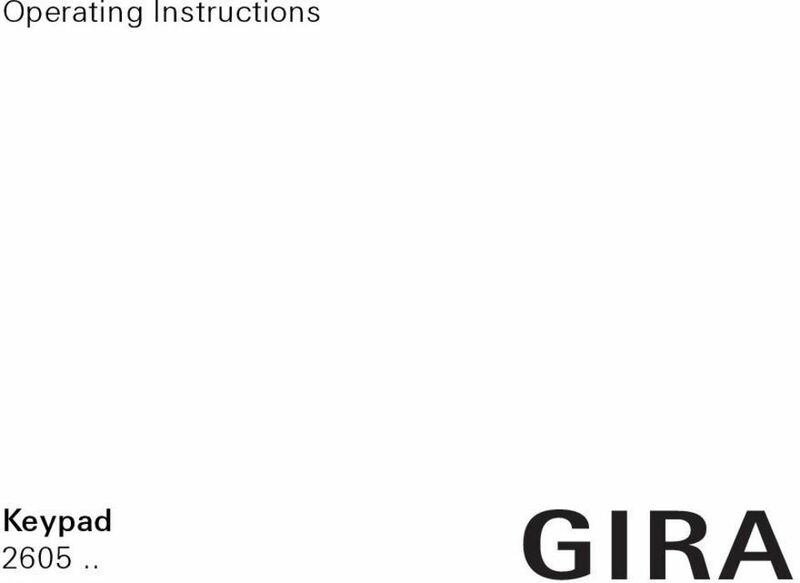 GV-AS Controller Installation Guide Before attempting to connect or operate this product, please read these instructions carefully and save this manual for future use. ASHV1124-A-EN 2011 GeoVision, Inc.